Activity: Visit to the Royal Palace. Services: Private Official Tourism Guide + Tickets. Departure: Date to be chosen by the customer. Time: To be selected by the customer. 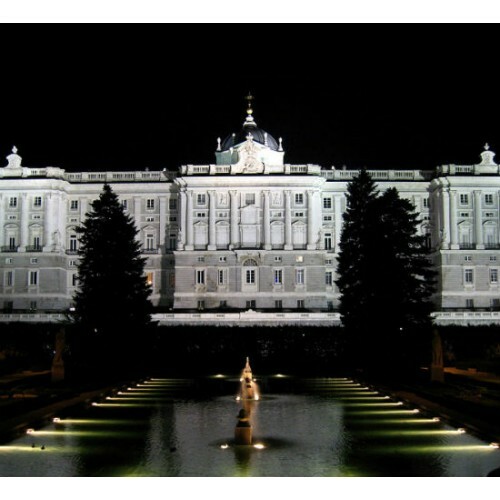 Start Location: To be chosen by the customer (hotel accommodation, entrance to the Palace ...). Conditions: Book at least 24 h. advance. Cancellation fee: 100% for less than 48 hours notice or no-shows. Tickets included in the price. Languages​​: Spanish, English, French, German (to confirm), Italian (to confirm), Portuguese (to confirm), Russian (to confirm) and Japanese (to confirm). Observations: Museum opens from October to March, daily from 10:00h to 18:00h; and from April to September, daily from 10:00h to 20:00h. Free entrance for children under 5 years of age. 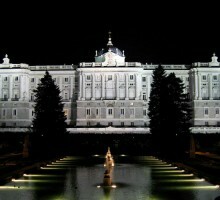 The tour includes the visit to Madrid Royal Palace. A private guide will pick you up at your hotel and take you to the Palace, where you will discover the Most Important Works and rooms. The visit will last a maximum of 1,5 hours, you can decide the starting time.